Two weeks ago, Martha Stewart and I spoke at Alt Summit. No, not together. Martha obviously had top billing. 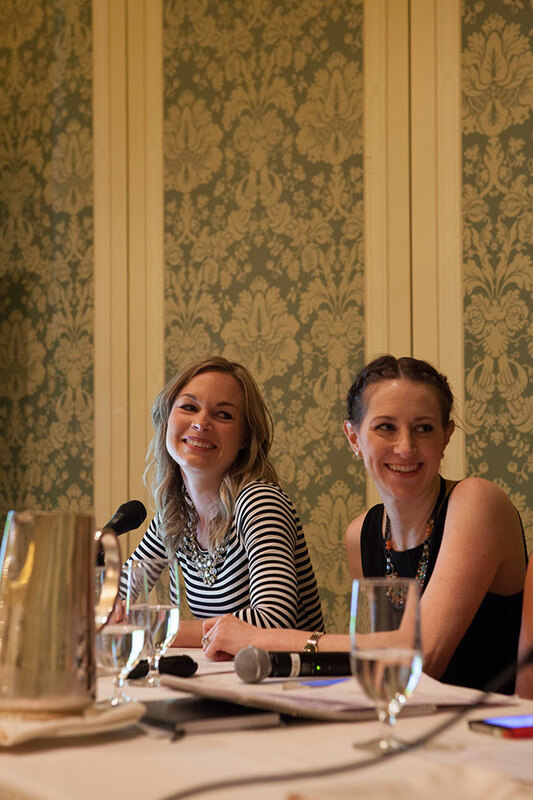 Everyone was super psyched for her keynote, an engaging lunchtime Q&A with Gabrielle Blair of Design Mom. However, a large number of Alt attendees revealed to me and my co-presenters, Ciera, Melissa, Mariah, and Tan, that they were especially looking forward to hearing our panel on Growing a Small Blog. Knowing that so many people were eager to learn from us was equally exciting and terrifying. What if the information I planned to share about self-promotion and networking didn’t live up to their expectations? What if they stood up and walked out while I was speaking? Our breakout room was packed. Mariah and I estimated there were 75-100 bloggers in attendance. I was the second person to speak, and as Ciera kicked off the session, I could feel my palms and pits getting sweaty. And, oh my god, I forgot to include on my notes when to change my slides. Suddenly, it was my turn. I took a deep breath and cracked a joke about winging it with my slides. I could feel my voice shaking at first, but once the audience laughed for the first time, I began to relax. But just a bit. My heart continued to race for my allotted 15 minutes. I must’ve had some sort of mind-body disconnect during my portion of the presentation because when it was all over, I could hardly remember what I had said! Still, I felt good about my performance and proud of my friends who presented alongside me. Then the most amazing thing happened. A handful of bloggers stayed behind to chat with us instead of running out of the room to find a good seat for Martha’s keynote. 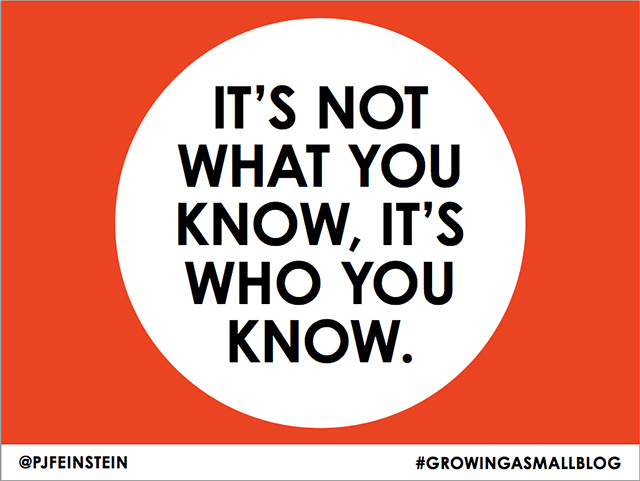 And others were sharing photos of our slides on Twitter and Instagram using our hashtag #growingasmallblog. 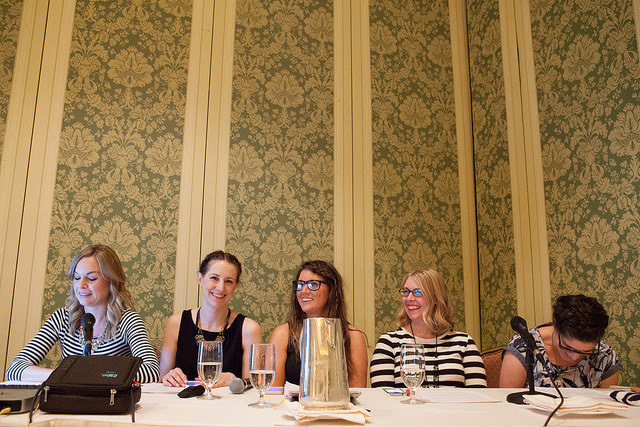 Alt Summit: Where it’s ok to type on your phone while somebody else is talking. 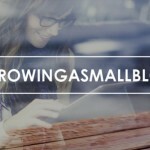 If you’re interested, here are some of the key takeaways from my part of our Growing a Small Blog panel. 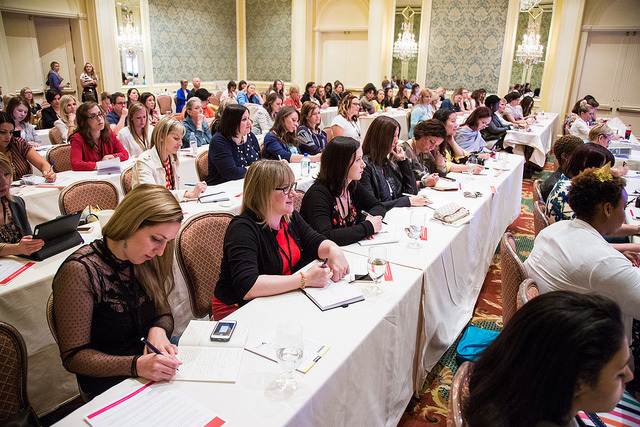 I spoke specifically about growing your blog through self-promotion and networking. 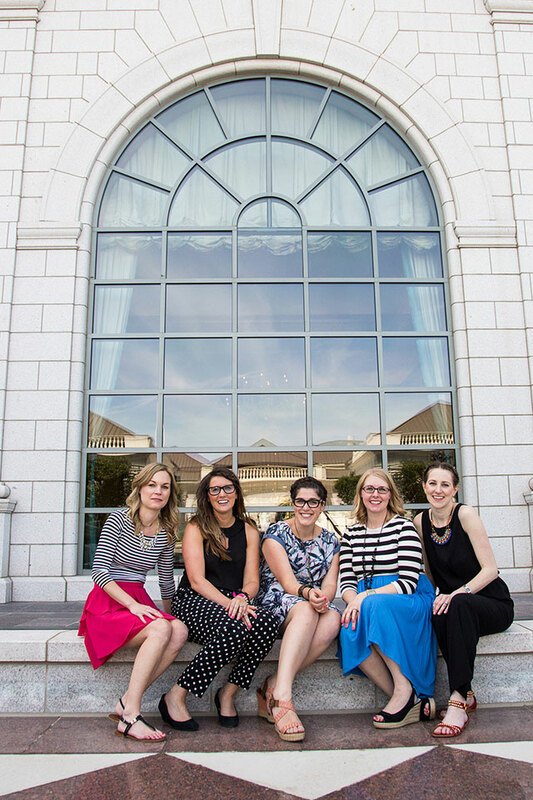 Ciera, Mariah, Melissa, and Tan are also sharing tidbits from their presentations today, so hop over to their blogs for the full scoop. Then download all of our slides here. 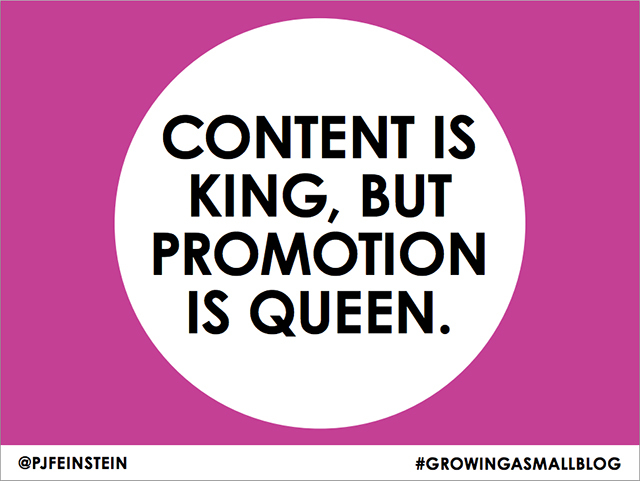 Content is king, but promotion is queen. Of course, you need to start with well-written and worthwhile content, but content alone is not enough to grow a readership. The simple truth is that your blog is going to go unread unless you tell people to read it. Distributing your blog posts across all social media platforms, including Pinterest. Drip your content across multiple channels over the course of a day, a week, or even a month using scheduling apps like Buffer, CoSchedule, or Hootsuite. Including your blog’s URL in your personal email signature. 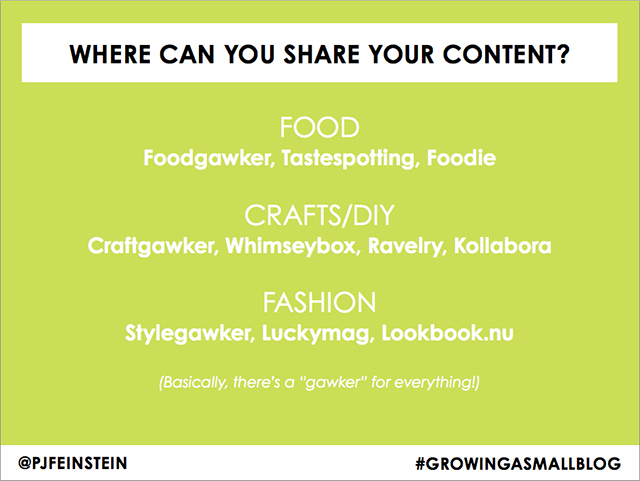 Tagging other bloggers and brands as often as possible when they’re mentioned in content you’re sharing. Uploading your best content to community sharing sites relevant to your blog’s topic. Networking, or building relationships with people who can potentially be helpful, is a type of two-way communication. Successful networking starts with an elevator pitch, a short 15-30 second summary of who you are and what you do. When brainstorming your own elevator pitch, start with who you are, then what you do, and what your blog is about. You can also include what makes your blog different than other blogs in your niche, or how it adds value to the reader. Practice your elevator pitch out loud until it rolls off the tongue. Since most of us write more formally than we speak, you’ll want to tweak your wording to make it sound more casual. 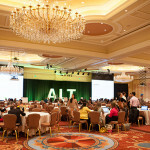 Conferences like Alt Summit are obvious places for bloggers to network, but some of the most lucrative connections are often made at events not related to blogging. Local workshops, races, even religious activities can introduce you to people with whom you share common interests. Because you never know where you’ll meet the next person who can help you, always talk about your blog — and always hand out your business card! Also, don’t be afraid to enlist the help of your friends and family. How many of your husbands or parents can explain what your blog is about? 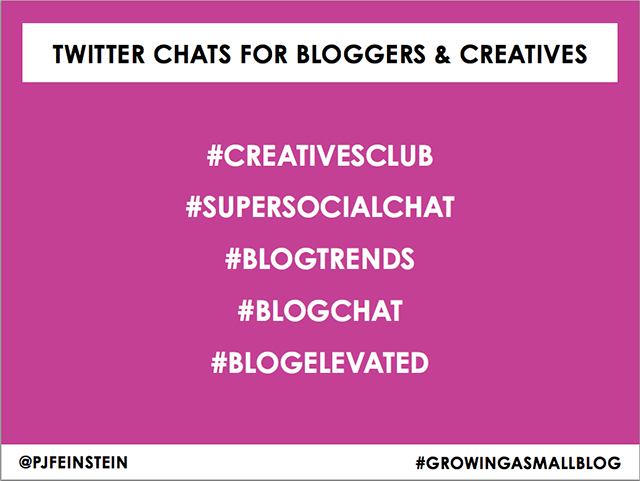 In addition to offline networking, you need to engage online with other bloggers. Creating relationships with other bloggers will ultimately help you expand your blog’s reach. The goal is to leverage their audiences to gain new readers. Frequently commenting on other blogs, adding value by saying more than just “great post!” Bloggers love comments — and, sadly, conversation is quieting down online — so if you comment consistently on the same handful of blogs, your name will become familiar. 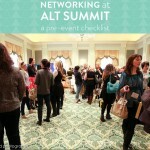 Another way to network online is by participating in Twitter chats like Alt Summit’s #AltChat. They’re a great way to offer other bloggers support, encouragement, and knowledge. Finally, think outside of your niche. Consider networking with bloggers in neighboring niches who share a similar demographic of reader. Self-promotion can be time consuming, and networking can sometimes be nerve-wracking, especially if you have the tendency to be a little shy. 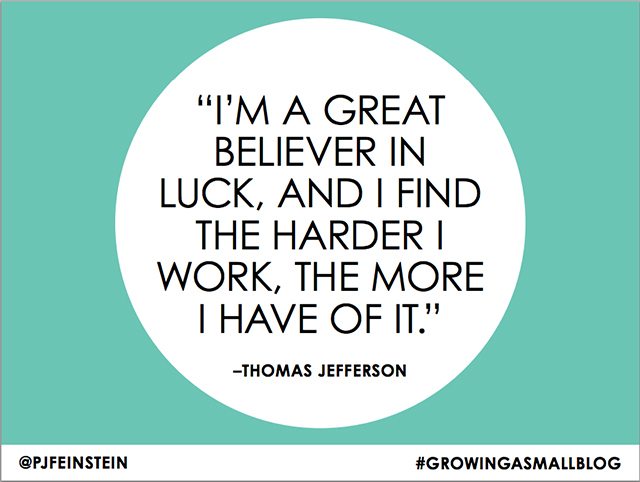 But if you want to grow your blog, you have to work it. You have to invest your time and put yourself out there. Yes, sometimes bloggers get a lucky break right out of the gate. I’m so jealous of them! Just remember they are the exception and most of us have to work hard to make our own luck. Have any additional questions about growing a small blog through self-promotion and networking? Feel free to ask in the comments or send me an email. And don’t forget to download our full slideshow plus worksheet! I loved this panel! Thanks for posting the slides! I love all of these tips! They are super helpfuL! Currently growning my small blog now! I’m just now discovering this blog post. Better late than never. This was so super helpful. I’m also learning how to network, self-promote, and collaborate. Thanks so much!